The QC Manager plans, directs and coordinates all on-site Quality Control (QC) activities to ensure compliance with applicable company, owner, and government regulations and requirements. The QC Manager is responsible for implementing the QC Plan in its entirety and making appropriate and necessary changes to the plan throughout the project duration. Supports production personnel to ensure quality services. Develop, lead and maintain a team quality control working environment. Establish and maintain good working relationships with Government Inspectors/Contacts (CORs), QC Inspectors, Delivery Order Managers, Superintendents, Owner, Suppliers and Subcontractors. This project site is located at the U.S. Army Garrison Hospital on the island of Kwajalein Atoll. The hospital serves more than 1,400 residents, which include military personnel, Army Civilians, contractors, and family members. Kwajalein is home to one of the world’s largest coral atolls and surrounds one of the largest lagoons in the world. Kwajalein’s year round warm, sunny weather supports a variety of activities, such as scuba diving, sport fishing, sailing, and water skiing. Kwajalein also boasts entertainment areas like a movie theater, bowling alley, gym, and small shopping areas. Bicycles are the primary mode of transportation on the island. Field testing of construction materials including freshly mixed concrete sampling and testing, compression strength testing of hardened concrete cylinders, soils compaction testing (sand-cone method) including the establishment of a moisture-density curve, and laboratory testing of fine and coarse aggregates; Maintain laboratory in organized manner, and report test results to applicable CQC System Manager via appropriate test reports. Includes maintaining test result charts; Assist in day to day operations of concrete batch plant and materials testing laboratory; Maintain a positive work atmosphere by acting and communicating in a professional manner with customers, co-workers, and supervisors; Other duties as assigned by supervisor. Project Engineer interacts with QC, Safety and Superintendent to assist planning work activities per contract documents and quantifying productivity. 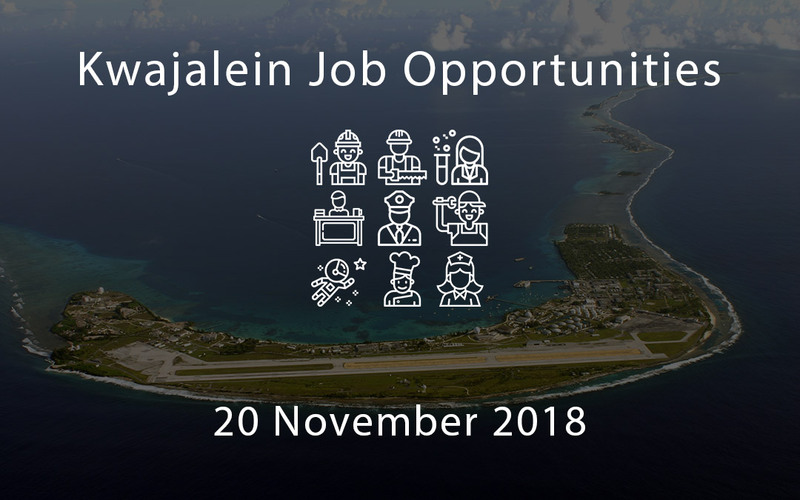 You will serve as Plans, Analysis, and Integration Officer (PAIO) to plan, develop, monitor implementation of plans, policies, procedures, and guidance for Garrison to assist with productivity, quality management, and organization improvements. The Data Integration Operations Analyst will work with key stakeholders to manage the data interface between Maximo, Proprietary DynCorp Supply System software (DYNMRO) and the General Fund Enterprise Business System (GFEBS) to provide specific cost and materials cost element stipulated in the respective contract requirements. Responsibilities include integrating and entering data into the GFEBS system modules, communicating goals and objectives, analyzing data to identify trends, risks, and best practices and training new users. The Logistics Director is responsible for directing and coordinating activities of the logistics function for business unit or assigned program in accordance with company policies and procedures. The Water Purification Supervisor oversees the production of water for the client by supervising the operation and maintaining reverse osmosis or other water purification equipment. The Fuels Manager provides leadership and guidance to Fuels Department personnel. Responsible for the overall program management of FUELS assets. Manages asset receipts, accountability, serviceability, storage, security, periodic inspections and deployment. Establishes asset reconstitution production schedules to meet customer requirements. Reviews asset reconstitution production, periodic maintenance and inventory reports to ensure timely and accurate submissions. Provides guidance on environmental issues as they relate to fuel assets. Responsible for program quality assurance as part of ISO 9000 standards. The Firefighter is responsible for protecting lives and property from fire by performing rescue and firefighting operations that involve fires, vehicle accidents, and natural disasters. The Department of Public Works Senior Manager provides strategic direction and supervision for all public works operations and maintenance of all assigned systems and infrastructure for the municipal or FOB/Base Camp of assigned program.